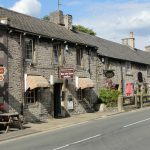 Treat yourself with an escape to the timeless beauty of Castleton in the Peak District; have a romantic getaway for a special occasion or a fun trip with friends, just because you deserve it! Castleton is an outstanding pretty village situated at the head of the lovely Vale of Hope, in the heart of the Derbyshire Peak District National Park. 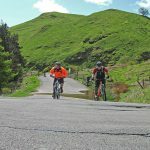 It is surrounded on 3 sides by steep hills and the mighty bulk of Mam Tor looms high, 2 miles to the north west of the village. On a hill, overlooking Castleton, is the ancient Peveril Castle. The Celts were the first people to settle in the area, at the hillfoot of Mam Tor. 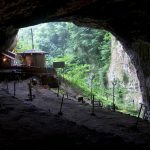 The fort is Iron Age, though it is believed settlement began in the Bronze Age, around 1400 BC and much earlier traces of Stone Age man have been discovered in caves on nearby Treak Cliff. On Mam Tor, also known as the shivering mountain, are the remains of a Celtic hill fort on summit, an enclosure of 16 acres at an altitude of 1700ft. The Celts were displayed by the Romans who started mining the rich lead veins, bringing prosperity to the area. 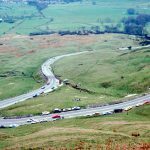 The road from Treak Cliff Cavern to the Blue John Cavern was once the A625, which once ran at the base of Mam Tor, locally referred to as the ‘Shivering Mountain’ due to its unstable composition of lateral layers of shale and gritstone. Over the centuries, as water and ice found their way into these layers, the process of erosion was accelerated, the rock began to crumble and the hillside ‘shivered’ and began, very slowly, to break apart and lose its cohesion. This erosion caused many headaches for road engineers in the mid part of the 20th Century, as the process led to regular led to regular land slips, finally making the road unstable and therefore unsafe for the ever increasing number of rumbling motor vehicles drawn to the area for recreation. Eventually in the mid-seventies (1977), the Shivering Mountain won the day and road was closed. 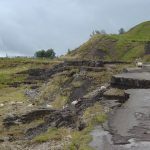 It is still possible, however to witness the remains of the devastation and reflect, in awe, the power of nature manifested in the huge landslips evident in front of you as you walk along the route. Odin Mine, at the foot of Mam Tor, was working as long ago as the 10th century in Saxon times, according to local legend. 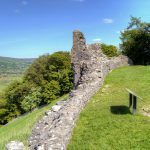 Shortly after 1066, William the Conqueror started building castles all over the country and the one at Castleton was given to his son, William Peveril in 1086, and so became Peveril Castle, which stands sentinel overlooking its village. The keep was added later, in 1176. 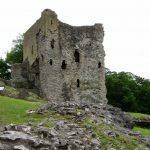 It never saw battle and was occupied as a dwelling until 1480. The village grew up under the protection of the castle. It is now in the ‘safe keep’ of English Heritage. The village, which tales its name from the Castle (Castle Town) was laid out in a grid pattern at the base of the slopes that surround it. 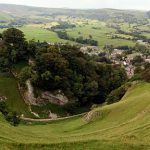 From the 12th century, Castleton was the centre of the Royal Forest of the Peak and it became a market town a century later. it was also along the packhorse route that brought salt from Cheshire to Sheffield. The men who travelled this path were called ‘Jaggers’, now made immortal by the lanes and natural ‘cloughs’ in the area and on the surrounding hillsides – named after them. The creation of the turnpike (toll) road from Sheffield to Sparrowpit (passing through Castleton) in 1759 made getting to the village easier and was a crucial early link between Sheffield and Manchester. By the mid 19th century the Wellington express coach stopped twice a day at Castleton on its journey between the two growing industrial cities. 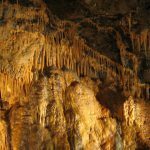 Castleton has 4 underground show caves, all worth a visit, for their own interesting features. These are Blue John Cavern, Speedwell Cavern, Treak Cliff Cavern and Peak Cavern. 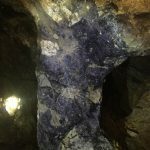 Blue John Cavern and Treak Cliff contain the treasured, pretty blue and yellow fluorspar called Blue John. It was first mined at Treak Cliff and by 1770, 16 mines were extracting the stone and selling it to several firms in Derbyshire who turned it into ornaments, vases, clocks and jewellery. Blue John is only found in this area of Britain, and small pieces of the mineral are still plentiful, large pieces are now rare. Peak Cavern (Devils Arse) is the source of the village river, Peakshole Water and as such it is the only Cavern that has to be closed during the winter due to flooding. In the mouth of the cave, the largest in Britain, rope makers use to live and work. Their cottages have been demolished but ‘rope walks’ are still to be found. The show cave is only part of a much larger cave system, which attracts cavers from all over the world. Speedwell Cavern is special because the main working and its ‘bottomless pit’ can only be reached by boat along an underground canal. Oak Apple Day, the 29th May, has been celebrated as Castleton Garland Day for many a year. It is a time of considerable pageantry with people dressing in Stuart fashions and choosing a King and a Queen for the day. They lead a procession through the village, the King covered in a great cone of flowers. Girls dance and everyone welcomes in the summer. 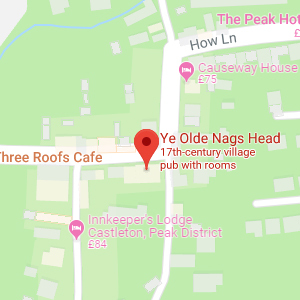 Copyright © Ye Olde Nags Head Hotel, 2018 All rights reserved.